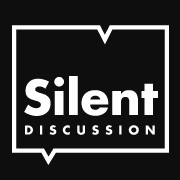 Silent Discussion events are a collaboration between a set of artists working on a "music without borders" project promoting Techno music events across Europe and Australia. Chryophase is making an appearance on Plazmarec radio show on DI.FM on November, 2016. Chryophase on Plazma records show. Show via Mondays, Thursdays or even Fridays w/ Plazma Records shows as a host.